Nancy Stout’s biography of Celia Sánchez, “One Day in December: Celia Sánchez and the Cuban Revolution” is difficult to put down, and hard to part with after reading. It gives an inside look into her strategic role in the planning and logistics that went into making the revolution, from organizing individuals to creating broad networks of support for the construction of a new kind of society. 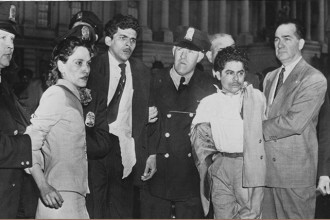 From the time surrounding the preparation of the Granma expeditionary landing scheduled for Nov. 30, 1956, until her death in 1980, Sánchez was an instrumental leader in the Revolution. She is deeply revered in Cuba. For Celia, no task was too large or too small. Reading about her life, resolve and the political projects to which she dedicated her life can inspire all revolutionaries to be more confident, deliberate, thoughtful and capable. Celia took up countless projects and initiatives to enhance the lives of the Cuban people before, during and after the revolution. Stout does an excellent job of describing these, using interviews with the people closest to her and letters and documents from the official Cuban Archives. Stout was granted access to the official archives by Fidel Castro himself. Celia came from a bourgeois rural background. Her father was a doctor, her family owned land and she was educated at an early age, though she chose not to attend university. She assisted with his medical practice after high school and worked for him until she had to focus all of her energies on the revolution. Her father was well known and loved in the community for helping anyone who came to his door for little to no money. Every year she raised money for the Servants of Mary, a Catholic charity that would give out toys to poor and working-class children during Three Kings Day. 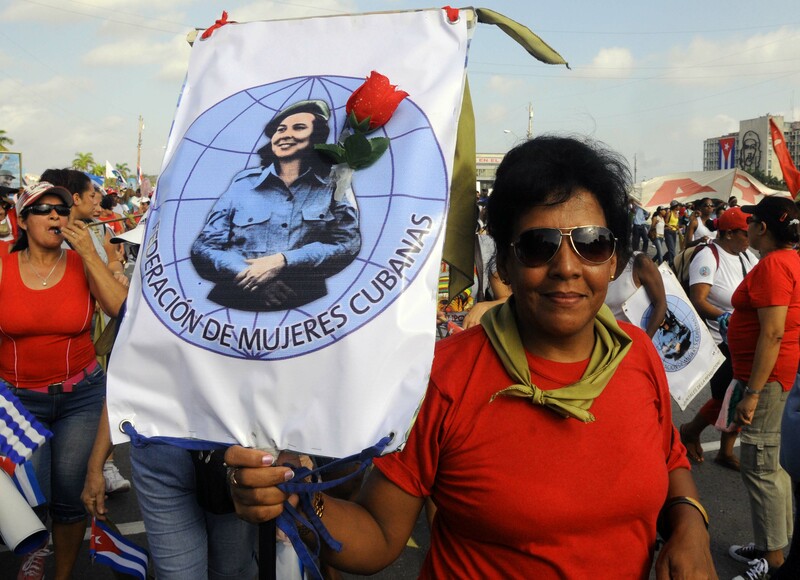 This gave her a whole community network, built on trust, that she would later utilize to raise funds and support for the July 26 Movement and its guerrillas; the organization that led the Cuban Revolution. She created the essential foundation for the guerrillas’ re-entry into Cuba to restart the revolution after the heroic but defeated assault on the Moncada Barracks, led by Fidel Castro, in 1953. 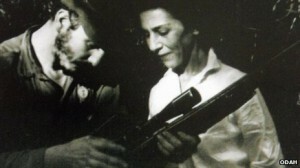 As a leader of the underground wing of the July 26 Movement, Celia was responsible for choosing the landing site for the Granma, the boat carrying the guerrillas from Mexico to Cuba in 1956. She made all the necessary preparations and reinforcements to protect the guerrillas’ passage into the Sierra Maestra Mountains, the initial base of the revolutionary movement. Celia was a tremendous lifeline for the guerrilla fighters, recruiting a complex web of family members, friends and militants to smuggle much needed supplies into the Sierra Maestra as well as training new combat troops to join the armed struggle in the mountains. She created the Farmer’s Militia, a network of Cuban farmers and landowners, who protected, joined and supplied resources to the guerrillas in their early days in the Sierra Maestra, without which the rebels would likely not have survived. Celia took up arms herself and became the first woman to join the guerrillas in the Sierra Maestra. 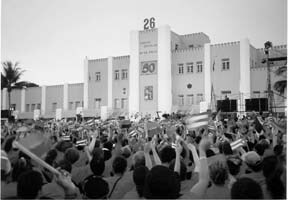 Following the success of the revolution, Celia immediately turned her attention to the creation of the new government, creating projects that would support the growth and development of the Cuban economy as well as its people. The range of Celia’s projects was remarkable! They ranged from the development of the Cohiba brand of Cuban cigars to the creation of wildlife reserves and state parks, to literacy programs and the creation of the Official Archives of the Cuban Revolution. Celia devoted herself completely to the creation of a new, socialist society. In the early stages of the revolution, when it became clear how important Celia was to the success of the struggle, she was the most wanted woman in all of Cuba for the Batista government’s security apparatus. Her life was in constant danger, and the government believed capturing her would weaken the movement. 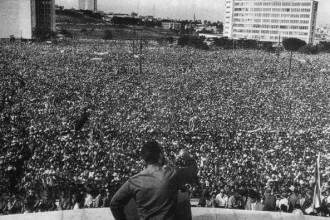 Although not as well known in the United States as Fidel and Che, Celia is a household name in all of Cuba. Schools, community centers, ballets and hospitals are named after her. “They were proud of Celia, and proud of themselves. She’d asked them to risk their lives to make this revolution. As young wives and daughters, they’d donned high heels and their nicest skirts to smuggle, in their petticoats, everything from film to explosives. Celia was a woman with many interests and talents, but above all she had courage, confidence, follow-through and resolve. As revolutionaries, we should study our heroes and sheroes to learn from their examples.